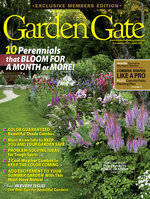 Every gardener knows what it’s like to head out to the garden and think, “Oh, no! What happened to my plant?” If the plant has spread out into a ring with a dead spot in the center, it’s time to divide. 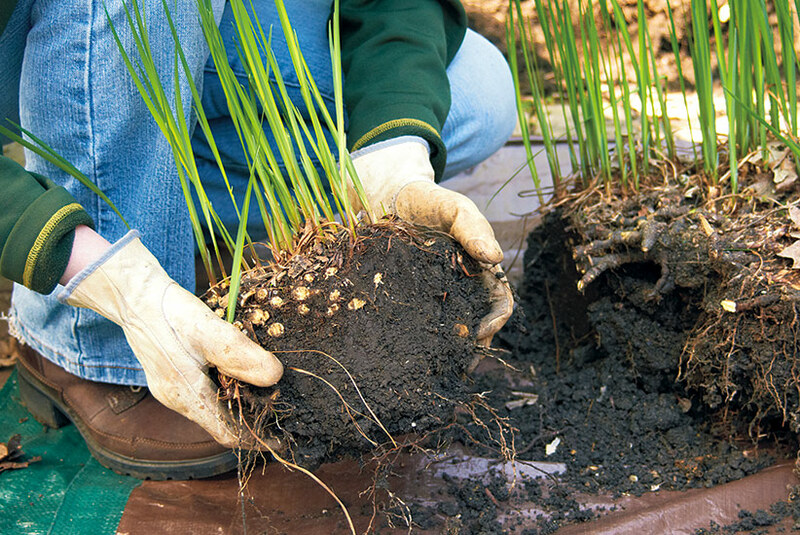 We have all the steps for a simple technique to keep a fast-growing perennial looking good, without a lot of effort. Check out the list of plants below. If you are growing any of these plants, be on the lookout for dead centers. 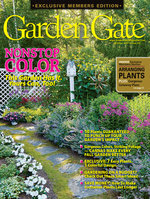 If you spot one, follow our instructions, and you’ll be on your way to a healthier and happier garden. Let’s walk through the steps of dividing a Siberian iris. Siberian iris is a welcome sight in spring. But after a few years you may find that the foliage is growing up around a dead spot in the center, as it has in the photo above. And there just aren’t as many of those pretty spring flowers as the plant used to have. You guessed it — time to divide! That cluster of dead rhizomes in the center takes up space and won’t let new growth sprout. Your best bet is to lift the entire clump. Do this in early spring, when the foliage is still small so you can see what you’re doing. 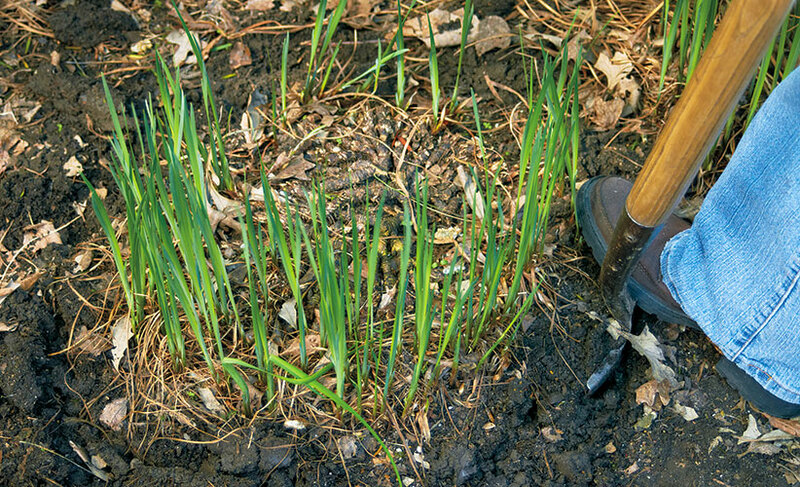 With the clump out of the ground, use your spade to slice it into four to six sections, as if you’re cutting a pie. 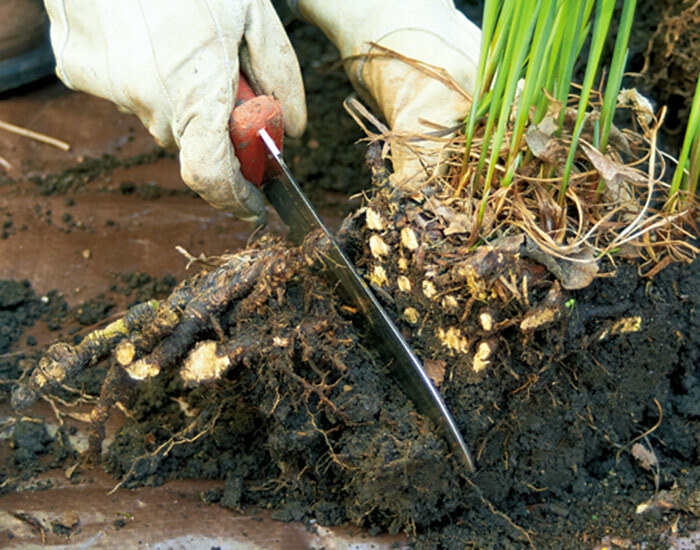 With a soil knife or small saw, cut off the dead “tip” of each wedge, shown in the photo above, and discard it. 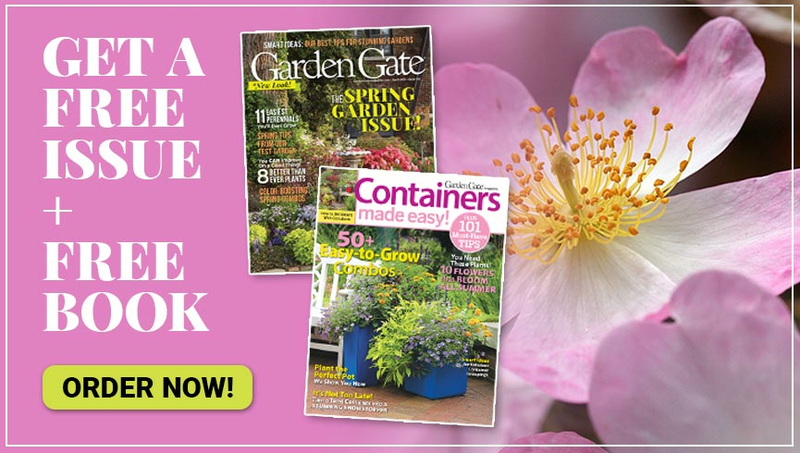 If the clump is too big for you to lift out whole, you can loosen it all the way around, then cut the clump into wedge-shaped chunks and take them out one at a time. Of course, you could divide these clumps down to much smaller pieces, but you’ll get a lot more impact if you replant a chunk about the size of the one I’m holding in the photo below, which is roughly 6 inches across. Plant it at the same level it was growing before, and keep it well-watered the first year.